"An amazing book, starting with the importation of anarchist ideals during the mid-1800s and ending with an evaluation and criticism of Castro's dictatorship. "Cuban Anarchism . . . provides a broad view of the history of Cuban anarchism. It is especially valuable for the post-1925 period . . . Fernandez rescues from oblivion the many anarchist activists, organizations, and unions seldom mentioned in the existing literature on the Cuban labour movement. . . Fernandez's book has broken new ground." 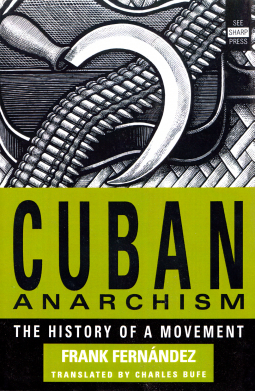 "Cuban Anarchism: The History of a Movement, would be a welcome addition to any anarchist's library. It's important not only as a history of Cuban Anarchism, but as a cautionary tale . . ."